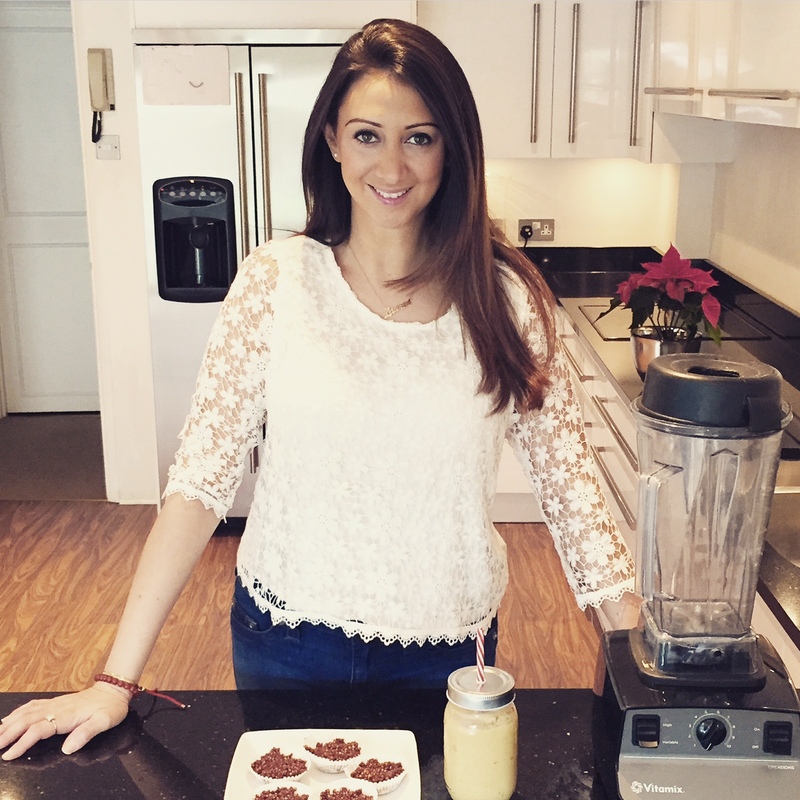 I’m a bit obsessed with my dehydrator… It’s just the best way to make tasty but healthy snacks. 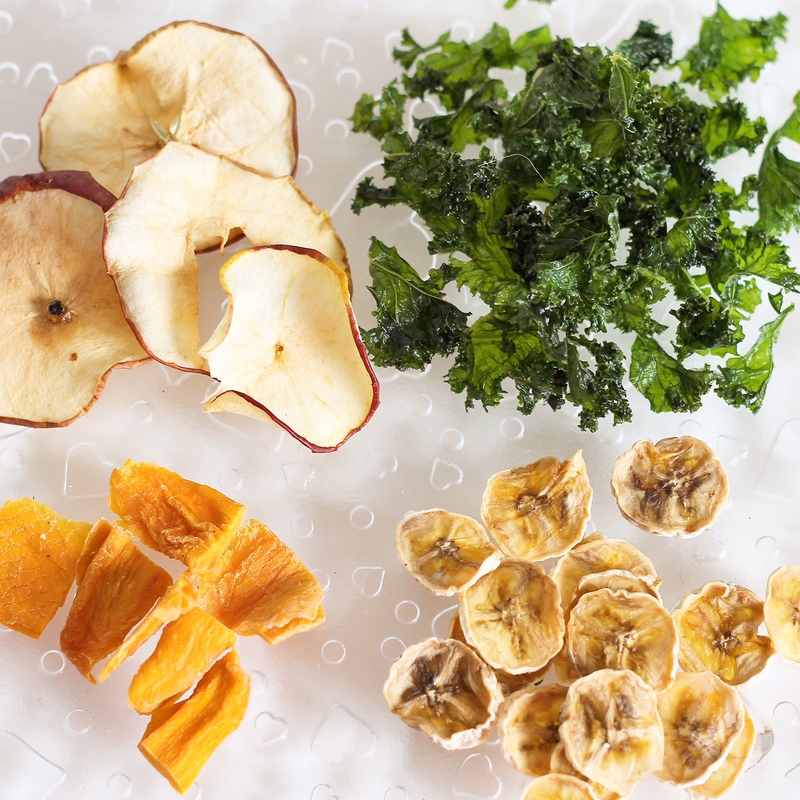 By dehydrating instead of baking, you keep all the nutrients in the snacks as they stay raw and you can increase your fruit and veg intake but they taste naughty! Here I made kale chips, banana chips, dried mango and apple chips. Cut up small and cut off hard stalks and mix in a bowl with a little olive oil and a little Himalayan salt – not too much salt as the kale will shrink but the salt won’t so they’ll be really salty if you use too much. Also try Raine’s chocolate kale chips! Core the apple then slice it so you get nice round shapes. Only leave the skin on if they are organic and unwaxed. You can add a little cinnamon also. Put in the dehydrator on 50-55 degrees and leave for 12 hours. The softer the food the longer it will take so you may need to take the apples and kale out before the mango and banana. Rotate the trays so they all get the hottest part when you can. Remember not to overlap any of the foods as they won’t go as crispy. Easy yummy snacks for you and the kids!